This was the first recipe I got done for the ABC Cooking theme, some many months ago. When I finished making this dish, it was simply decided that I was going to save this up for the letter J. Infact this was one single reason why I realized that I can’t do themes per week. I go big on nostalgic things and most times, even a small gesture ends up reminding me, something from past. 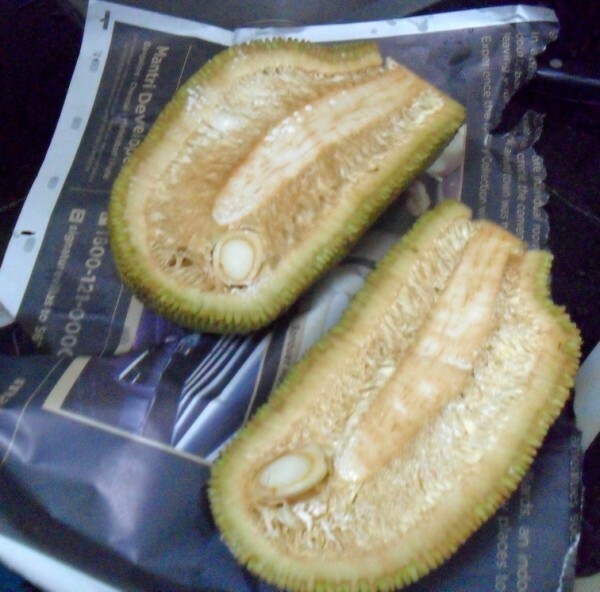 Then imagine how big a trip down the memory lane, I went when it came to Jackfruit, as big as a Jackfruit is. There are many things that get associated with my growing up days as a high schooler. Jackfruit was one of those. I remember the many summers, we would get these fruits shipped home, and how I would be the person cutting it and taking it to our neighbors. I love Kerala food and many summer vacations were spent in Kerala. Not that Jackfruit is not grown in other states, its just that I associate this with Kerala more. During the season, we used to get 3 -4 different variety of Jackfruit and each time we will find it hard to decide which one tastes better. Daddy’s nature of job was such that for many years he used to travel to three of the southern states. So we used to accompany him during holidays. 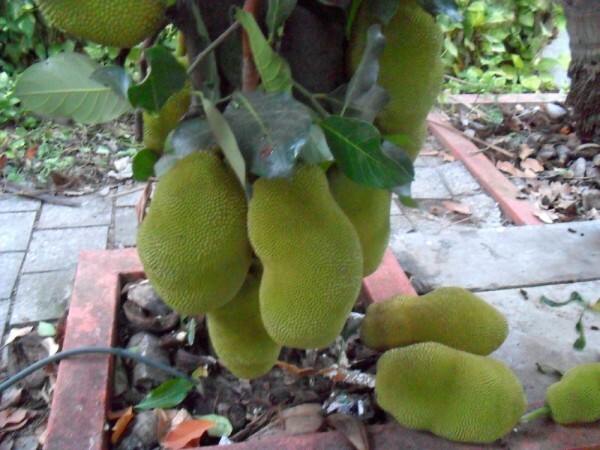 Now coming back to the Jackfruit, gone are those days when we would get the whole fruit and cut it ourselves. We don’t find time for such exercise and would rather buy these cut fruits off the shelf. Every time I do that I get sentimental and remember the olden days. However my love to this fruit has not gone down. Infact when we visited my school friend, we were in for a surprised. His parents planned for this surprised and trust me, kids were so excited seeing so many fruits hanging down the tree. We went to meet my friend’s new born twins and as expected my kids were excited beyond measures. Even now they keep asking about those little ones. 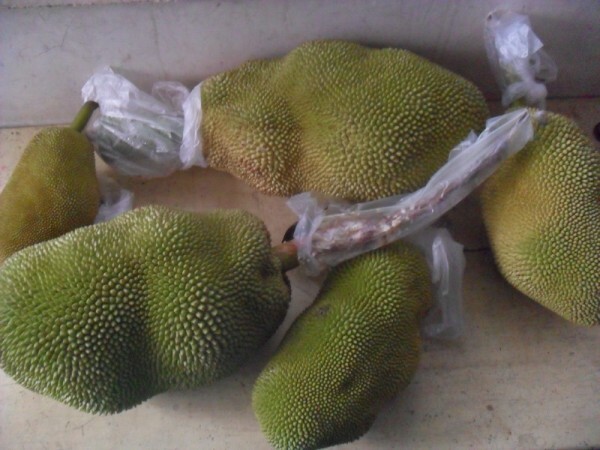 Our evening visit was very fruitful as Aunty packed about 5 – 6 jackfruits, couple of them very tender for me to try a non veg gravy that Keralites are known to make. 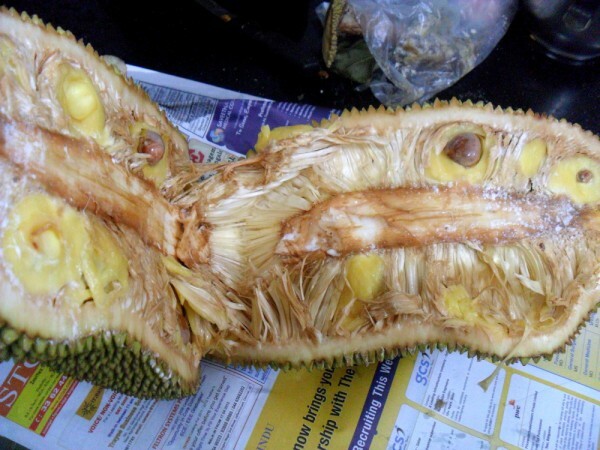 She revealed that she was told that raw jackfruit tastes like meat. So she was very eager for me to try this for hubby dear. we had a great time spending our evening at their place. Now I am sure along with mine, my kid’s memories will be filled with the events of that memorable evening. Back home, for nearly 3 -4 days, I didn’t do much. The entire house was smelling so wonderful, especially in the eerie nights when I walked around, I had the smell from the jackfruits as my company. It smells heavenly and one must experience to know it. Anyway finally I cut open two fruits, only to find just 2 peices in it. I had gifted two to my colleagues. One had ripe one numbering about 16 and the other colleague had made a gravy with it. I was all eager to cut the remaining fruits and those really lived up to expectation. My colleague did tell me that the fruits tasted out of the world and yes these were indeed so sweet that we couldn’t get enough of them. Both the fruits yeilded about 30 – 32 in total. And we saved up the seeds. Konda loves Jackfruit and even now asks me when we will visit my friends place again. 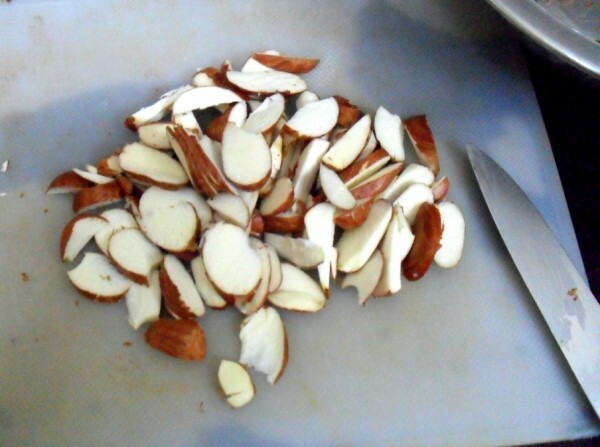 And with so many seeds, I had to make my favorite snack. 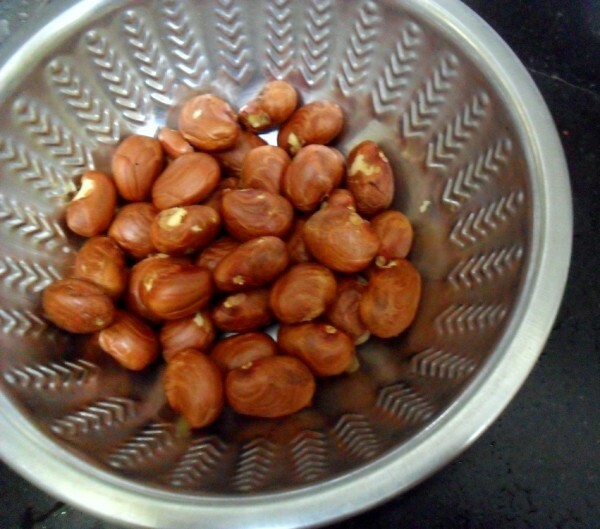 I surprised that I haven’t shared this particular method and didn’t waste time in showing Konda how I used to enjoy these seeds during my childhood. Enjoy some of the pictures I clicked during our visit. Wash and let the seeds dry for couple of days, until the outer skin starts to peel off. Peel off the outer white skin and chop into thin julienne chips. 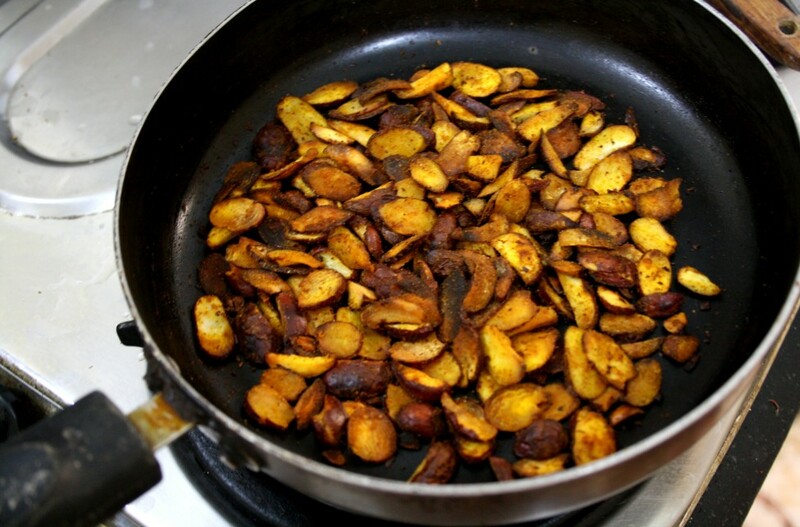 Now depending on how you want to fry your chips, you can either do pan frying with just 1 – 2 tsp of oil, or simply deep fry these chips and drain. Once it’s fried, drain to a kitchen towel, allow it to cool down for couple of mins. 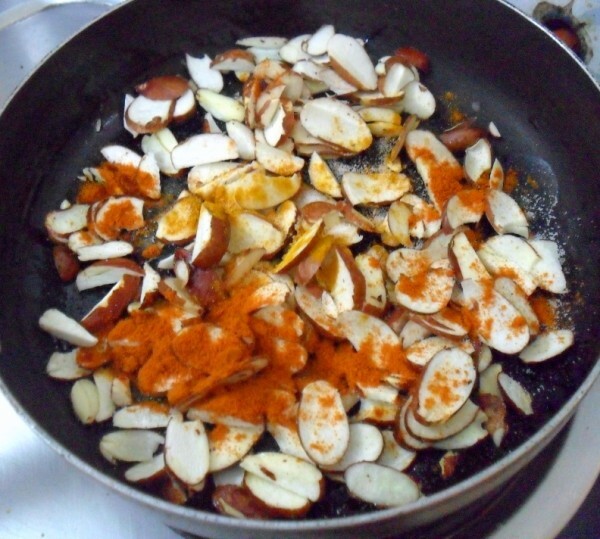 We use the seeds in sambar, kurma and I also make it this way for chips. wow wow very very innovative and healthy chips dear 🙂 i like boiled jack fruit seeds a lot !! this recipe sounds so interesting !! 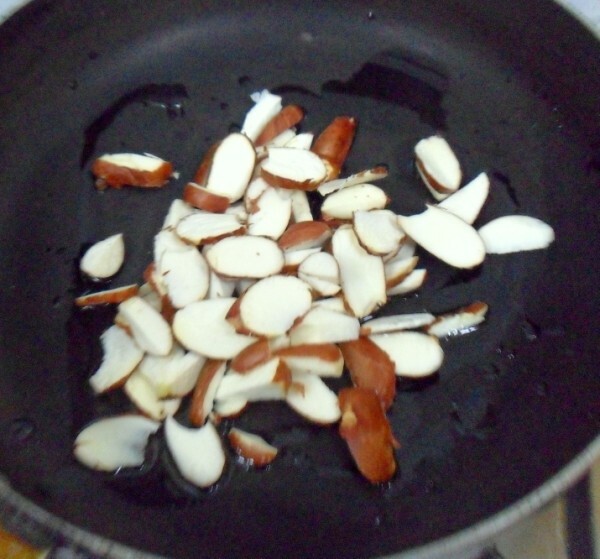 Trust me, i almost breaked my head to decide my dishes as per theme per week, can guess yours Valli.. Omg,seriously i miss this much fresh jackfruit seeds here, chips looks fabulous.. It might sound strange but I forced myself to eat this in the form of a veggie just a few months ago..somehow I had thephobia that it is similar to non veg..wonder why..but never actually wanted to try…anyway after trying I had to be polite and say ya..well it is ok…but those who like this are crazy for it..my daughter being one of them:)) love those pics , though. I always love your posts for the stories you put in!. 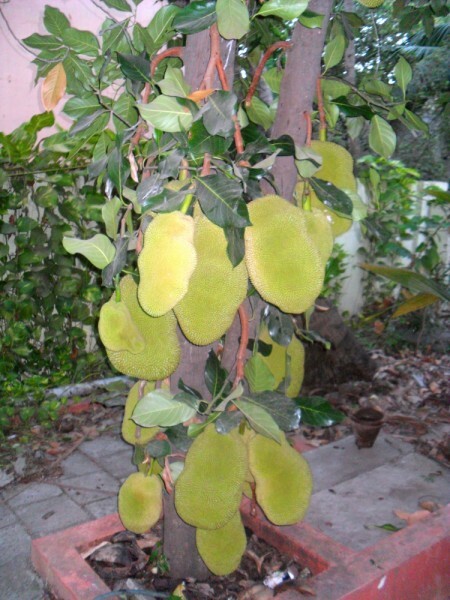 Plucking jackfruit off a tree and cutting into it is memories I associate with my summer holidays at my uncle's place in Coimbatore. I never knew one could make chips with the seeds!. Have only used it in sambhar/ kurma type dishes. This seems wonderful! What a lovely post Valli. loved reading about your jackfruit nostalgia. 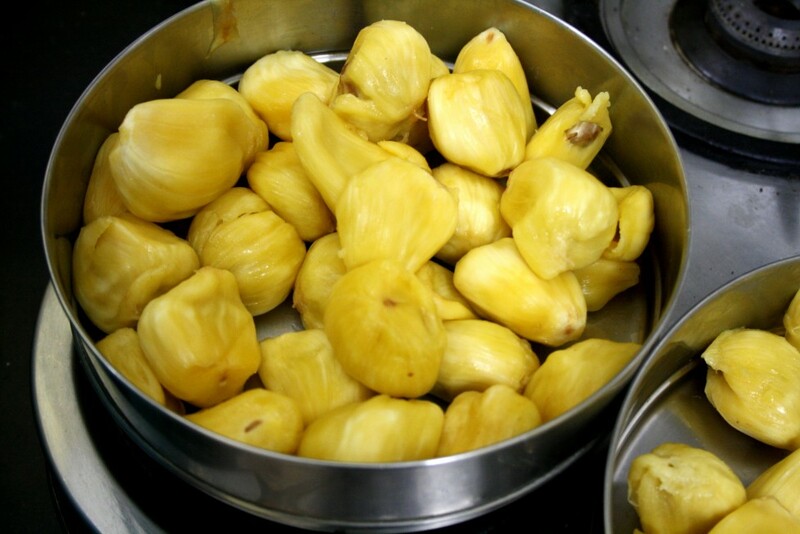 Growing up jackfruit was rarely cooked in our household. It was only after I came to US that I started using canned ones. I'm sure fresh ones taste infinitely better than the canned ones. Such a wonderful post. The pictures speak for its beauty. I make curry and we eat boiled and salted seeds but this is a new recipe for me. I have this years saved seeds so will try and make it soon. Very well written post!!! love reading about Jackfruit!! nice idea of this chips.. although new to me, looks very very tempting!! lovely pictorial there, Valli ! 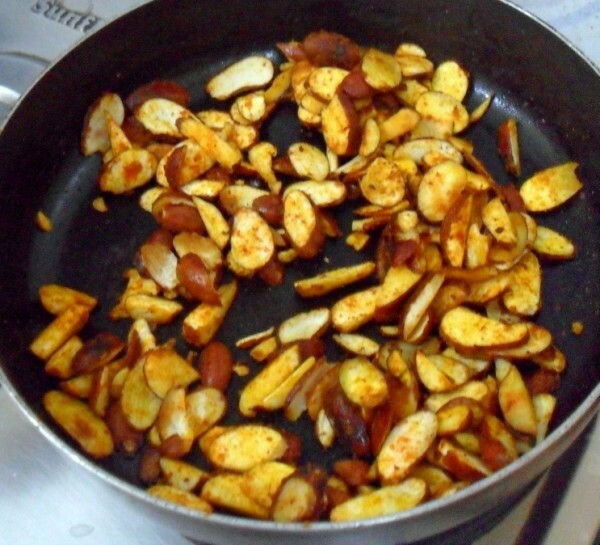 I usually use the seeds for Sambhar or mix veg kootu after steaming… this is a good variation..
Lovely jackfruit chips ! I love them in jackfruit sabzi ..
We get a lot of jackfruit heer in Goa and the ripe ones are relished. The raw ones are cooked so beautifully they are heavenly. Coming to the chips this way of making chips is new to me. I just boiled them up. So the next season we have chips treat coming up. Awesome chips…delicious and tempting..love the clicks!!!! Wow!! I didnt know you were associated so much with Kerala :)…Loved the post, loved the pictures and loved the chips as well..I have never tried making chips, usually put them in koottu, avial or may be even make a thoran with these! Wow! Needs a lot of patience to remove the seeds and then slice them ..But they taste awesome, right? Loved reading your nostalgic post Srivalli. I had a sort of allergy after eating jackfuit so avoided it during chidhoo. Now I am literally indulging on them!Wonder when that allergy disappeared. Love the pics of the trees Srivalli. Looks so nice. I remember mom buying the whole jack fruit and cutting it and we sitting around and used to enjoy the fresh jack fruit.. Makes me nostalgic. I have never tried making chips with the seeds. I got to eat plenty of fresh fruit this summer in India. :)Knew about the sambhar made using seeds but chips is very new to me. You version of pan frying is so awe some.. Generally if there are very less we grill them on stove top.. It reminds me of childhood days. Grandma used to put these in sambhar. I love their nutty flavour. OMG! I am just drooling looking at those jackfruits in the tree…I love that fruit and my mother makes kootu or sambhar out of the seeds. Never had it in this form. Love this crunchy bites as tea time snack.